Arash Moradi was born in the Kurdish city of Kermanshah in Western Iran. He is the eldest son of Iran’s leading tanbour player Aliakbar Moradi. 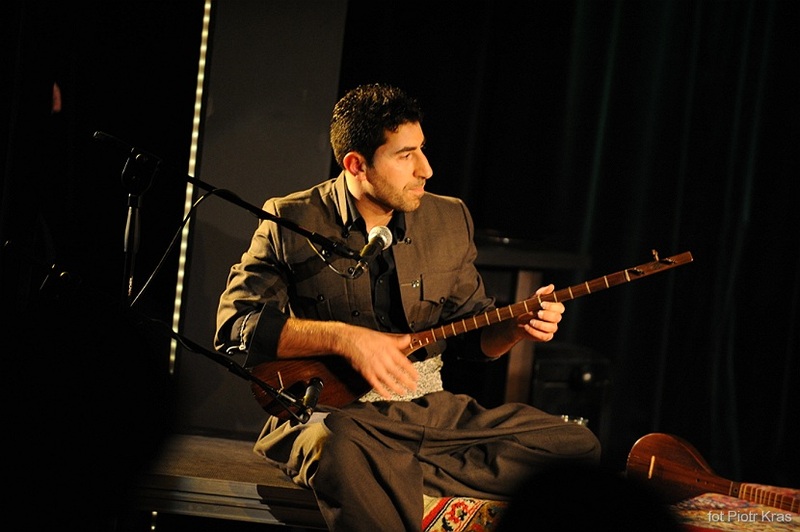 Arash started learning tanbour at an early age from his father whom he later on accompanied in numerous concert and festivals throughout Iran and Europe such as St. John’s Smith Square of London, XIII Cantigas do maio in Portugal and Racines festival in Toulouse. Arash also played at Rhythm Stick Festival in London. He cooperated with BBC radio 4 as a guest musician in 2006 as well as he performed as a soloist in Queen Elizabeth Hall in London. Moreover, he was invited to Rotterdam Film Festival in Netherlands to demonstrate Persian traditional music. At the recent time Arash and his younger brother Kourosh have appeared as Yarsan Ensemble in the United States of America many times to introduced the Kurdish music and culture. Arash lives in London where he teaches tanbour, runs workshops on Persian and Kurdish music and also cooperates with different musicians from all around the world.